The sociology of the modern expat is a very interesting subject, yet widely understudied. In fact, most countries do not even keep an accurate number of how many of their citizens live abroad, let alone to what countries they move and what drives them to emigrate. Many people move to other countries in search of a lower cost of living than their own country. In other words expats look for countries where their dollars, especially their retirement dollars, go a lot further. Life in Panama used to be very inexpensive, certainly less expensive than most modern cities or first world countries. Over the last 10 years however, inflation has significantly impacted the cost of living in Panama, thus affecting the price of food, cars, education and housing. In many cases, the average prices in Panama for these items are now comparable, and in some cases higher, than the average prices of these same goods and services throughout much of the United States. While food, automobiles and housing has increased in Panama, labor and medical care are still significantly lower than in the U.S. If your main purpose for moving to Panama is to reduce your cost of living, please do your research thoroughly, as the cost of living in Panama may no longer be low enough to justify a move to reduce your cost of living. Many people leave their country for work opportunities or to improve their circumstances by looking for better opportunities elsewhere. In relationship to Work and Economy, it really depends on how bad things are at home; in general the economy of Panama has been doing very well the last 10 years, with several years of double digit growth. Unemployment is very low, generally around 4%, and there is a lot of demand for skilled laborers, however, the pay scales in Panama are significantly lower than what you might find in the US for example. If you are an entrepreneur however, Panama might be just the break you are looking for. It’s a very young country, at not even 112 years old, with a very strategic position on the globe and a lot of growing up left to do. We lump a number of things into the Politics & Culture category not just the sentiments towards whatever government administration might be in power, but also things like political correctness, race-issues, mass-consumerism, and the general direction of the culture and society of the country. Politics and Culture is always a bit of a tricky subject as it’s so subjective and personal. As a general rule concepts such as political correctness and racism are not commonplace in Panama. Panamanians tend to have a much more practical, straightforward way of thinking. Relationships, whether romantic or familiar play often an important role in people’s decisions to expatriate and repatriate as well. Many expats find Panama because of Love & Family. Especially when one considers the influence the US military had in Panama and all the Panamanian Brides and Husbands that were taken as a result. The truth is Panama has always had a very multinational background, with strong influences from such countries as Spain during the times of the Spanish Explorers, Scotland with William Patterson and the infamous Darien Scheme, France when they made their attempt at the Canal, and The U.S. with its ties to the railway, canal and the many military bases and Canal Zone townships that formed part of the Canal Zone. Many others are motivated to move to escape brutally cold winters, or devastating natural events such as hurricanes, earthquakes, tsunamis ect. Panama is blessed with warm, tropical Weather year round. We are hurricane free and relatively free of natural disasters. We will suffer from the occasional earthquake and every once in a while we will get tsunami warnings, but by and large the weather in Panama is very gracious with its people. Last but not least, many people have been working hard their entire lives and are looking to escape the rat race and live out the rest of the rest of their lives in retirement bliss. Enjoying travel, warm weather, hobbies and virtually everything they feel like they were missing back home. Panama also has the right attitude for Getting out of the Rat Race and enjoying life. Panamanians are very festive, happy-go-lucky people. The country tends to rank extremely well, if not first, each year in well-being studies which categorize countries based on 5 aspects of well-being of their people. The five aspects include: sense of purpose, social relationships, financial situations, community involvement and physical health. Couple this general sense of well-being with two stunning coasts, countless beautiful natural settings, and a bustling modern metropolis, Panama might be just what you need to get out of the rat race and start enjoying life! 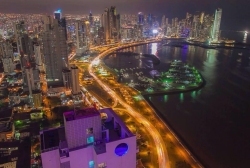 Thanks for sharing the 6 reasons to move to Panama in your article. I was hoping you will touch on crime issues in Panama. Presently I live in a country notorios for violent crime.